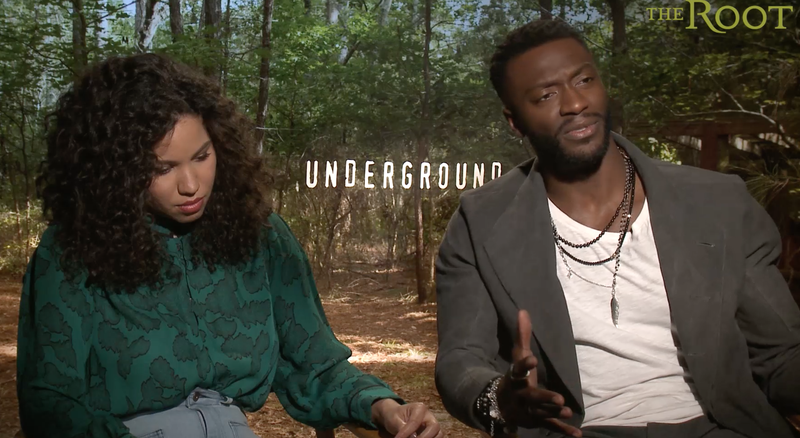 Watch: What Would the Characters From Underground Say to President Trump? The 45th president of the Unites States of America, Donald Trump, is a lot of things. So many venomous words come to mind. But I’m not here to Trump-bash (today). I’m here to shine some light on what we already know: America is changing under his rule, and while many of us protest and speak up against the inequalities, we can’t help feeling a little helpless, even in our agitation. And helpless is how many movies and TV shows choose to portray our ancestors. But that’s not the entire story. Slavery wasn’t just about being owned and dominated by white people. Slavery was about fighting for freedom. And if our ancestors didn’t, we wouldn’t be free now. Think about the courage it took to run away against all odds. That’s why shows like Underground are important. The first season took entertainment by storm, showcasing a less-docile interpretation of slavery. The show’s creators, Misha Green (a 2016 The Root 100 honoree) and Joe Pokaski dropped us smack-dab in the middle of 1850s Georgia. We met Noah (played by Aldis Hodge), an ambitious and courageous slave who wants nothing but freedom. Throughout the entire first season, his fight to freedom is nothing short of bold and brilliant television. We’re met with a disruption to the typical slave narrative, and we get to see history play out in a way that educates us all about the empowerment that many slaves possessed. And now, in 2017, as we face a president who seemingly wants to whitewash America, I wonder: What would these Underground characters say to Trump?